Jet crashes at China air show Jump to media player A Chinese air force fighter jet has crashed during an exhibition at an air show in China's northwestern Shaanxi province. 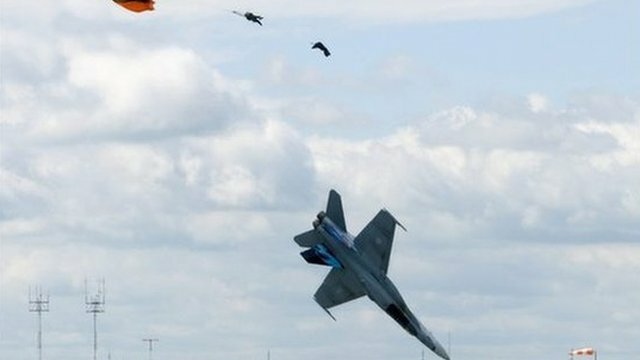 Pilot escapes from fighter jet Jump to media player A Canadian fighter pilot is recovering after his jet crashed during a practice run at an air show in Alberta. A Chinese air force fighter jet has crashed during an exhibition at an air show in China's north-western Shaanxi province. 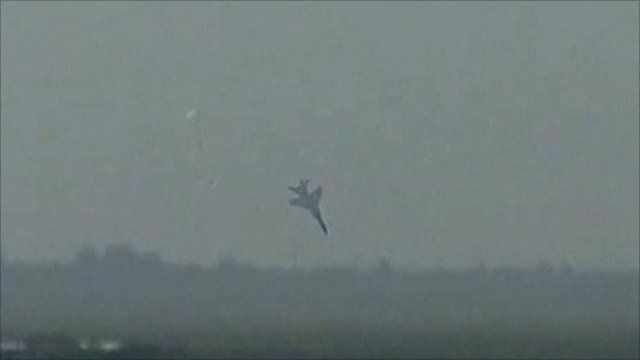 The pilot of the FBC-1 "Flying Leopard" ejected from the plane before it nose-dived into a field from a height of about 200m (650ft).